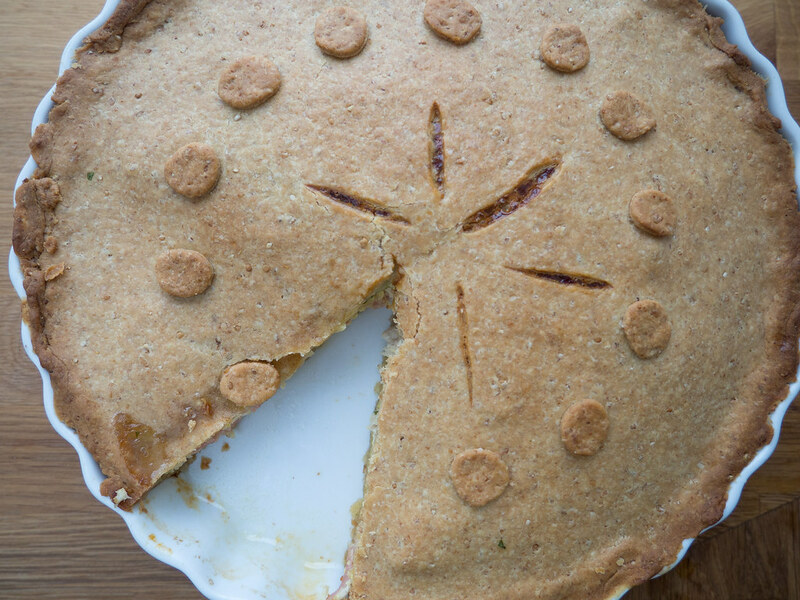 I love making pie and especially this pie I have listed in the recipe further down on this page. 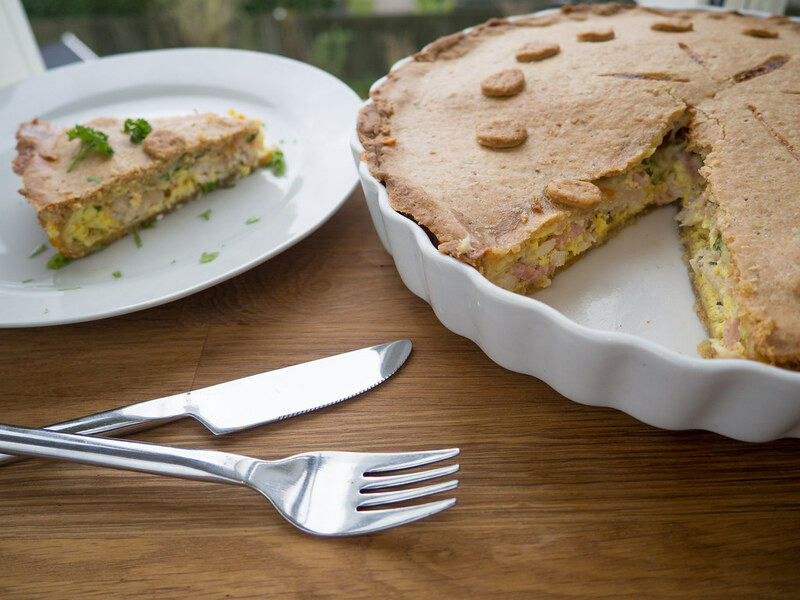 This cheese, ham and chicken pie is made from scratch and from a few and simple ingredients. Making the homemade pie is simple to make and it actually does not take that long. 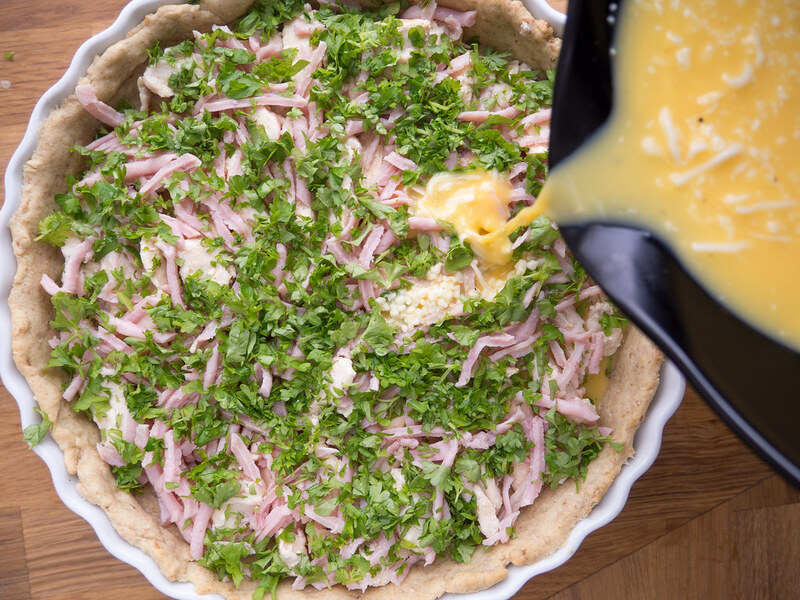 In this recipe, I have made the crust of the pie myself and then filled it with fried chicken, ham, grated cheese and assembled with some beaten eggs. I personally think that this combination of filling is super delicious and I can highly recommend it. 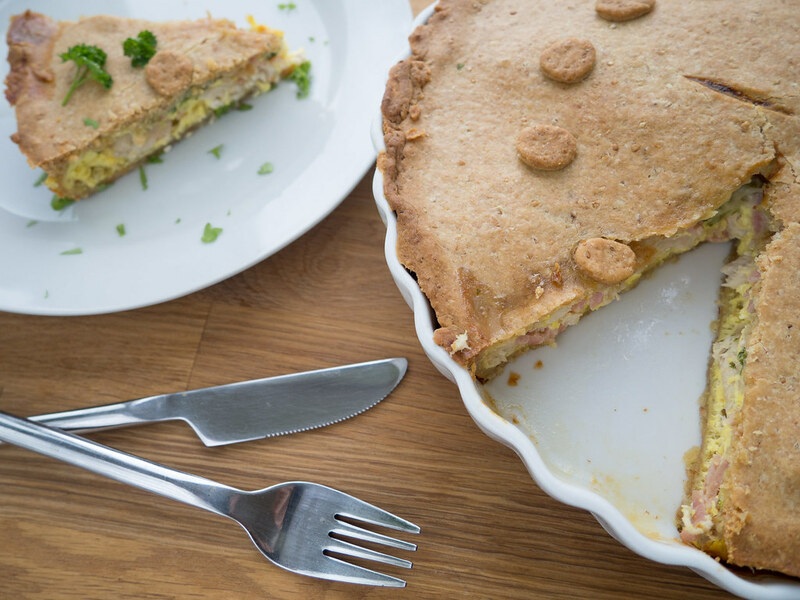 However, the great thing about this recipe is that you can use the basic recipe for the piecrust and then add filling according to your own taste and preferences. 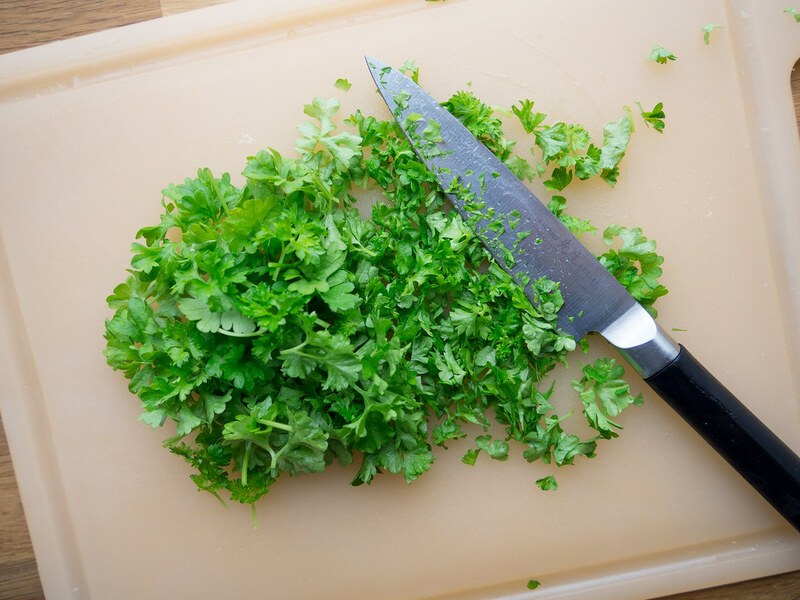 As I have said in several other posts here on my blog; I love to experimenting in my kitchen and this experimenting is actually how I came up with this combination – you can use it or maybe try to come up with your own favorite pie. I hope that you will enjoy this pie as much as I do. If you have any great recommendations for filling please let me know in the comment section below on this page. 1. Dice the cold butter. 2. 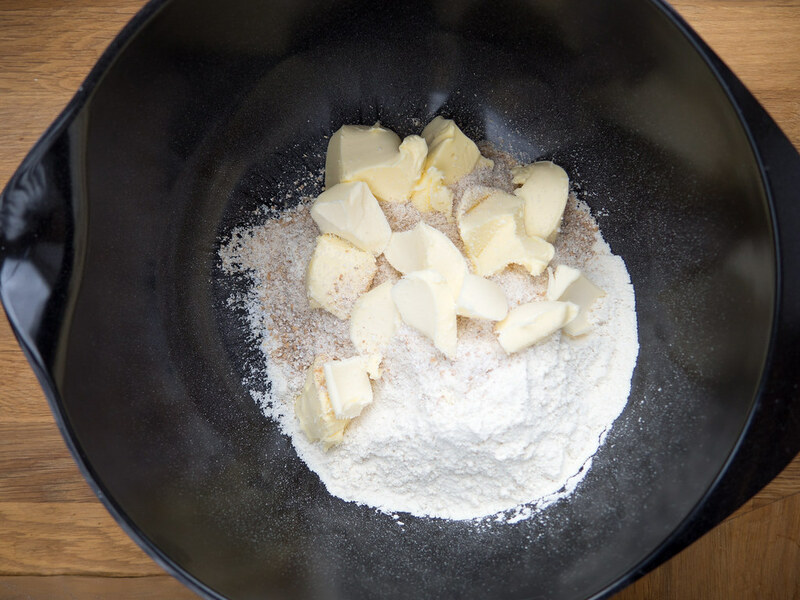 In a large bowl; add the all-purpose flour, salt and the cold butter. 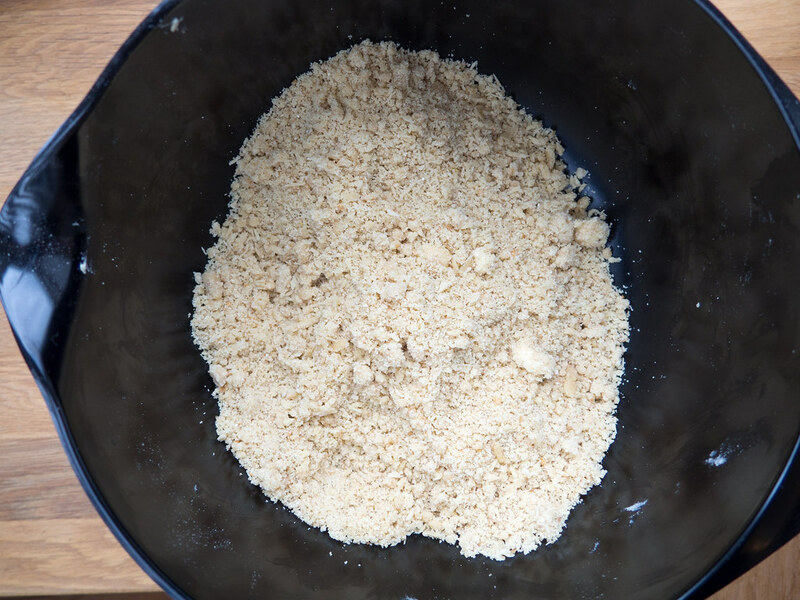 Assemble the flour and butter using your fingers. You can with advantage substitute 1/5 of the flour with whole-wheat flour. 3. 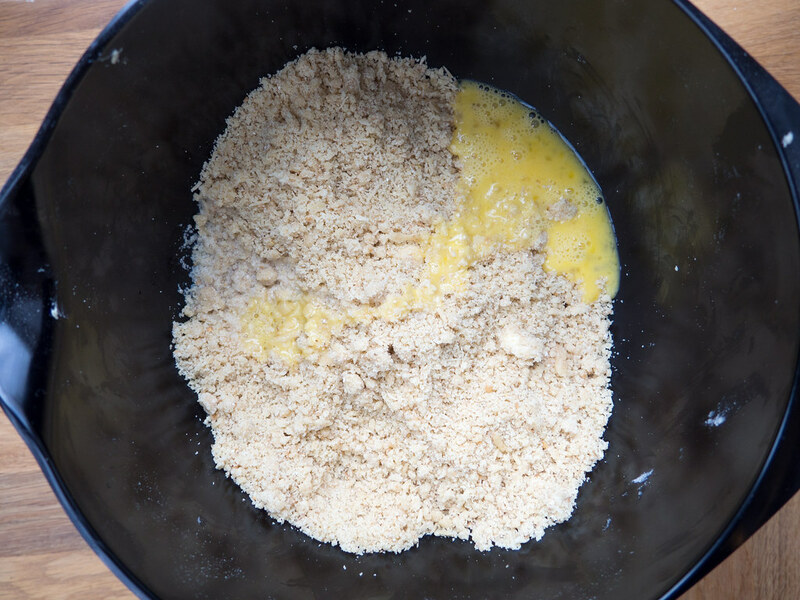 Beat an egg; save about half of the egg for brushing of the pie and then add the last to the crumbled dough. 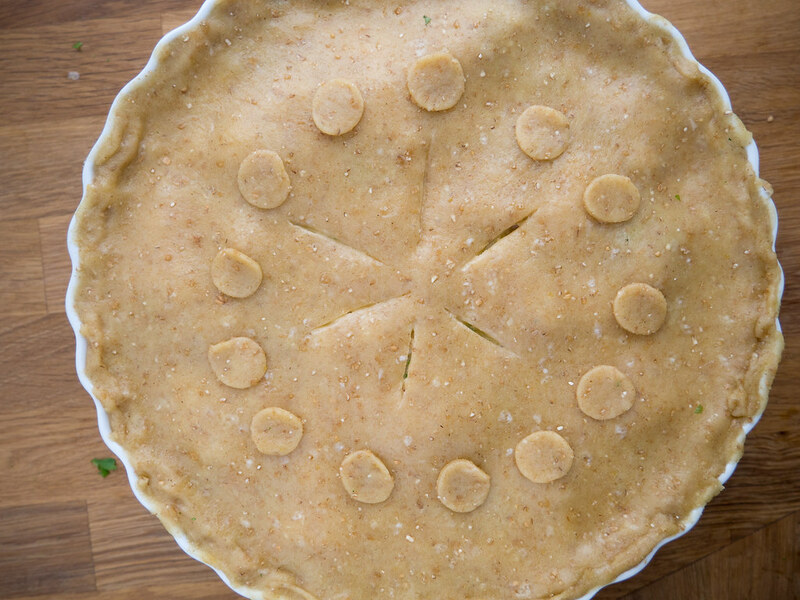 Add the water and assemble the ingredients into a pie dough. 4. 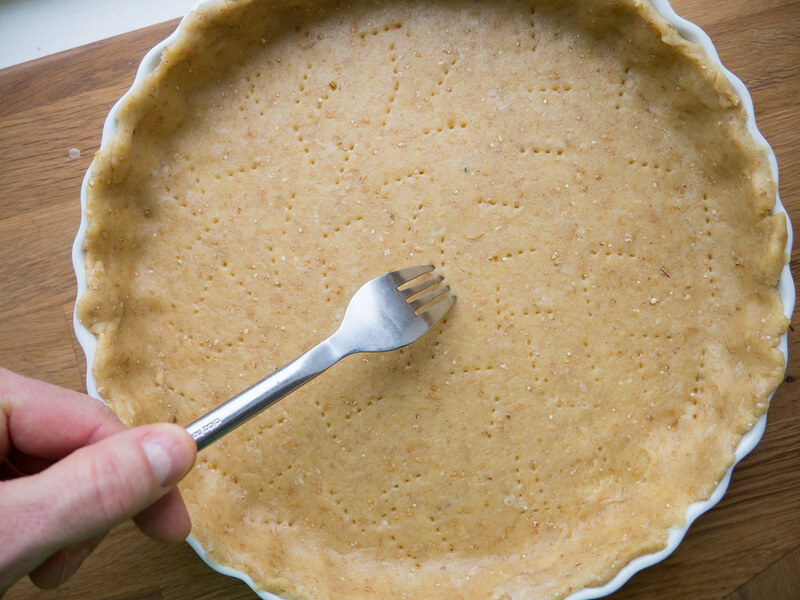 Let the pie dough rest in the fridge for about 30 minutes while preparing the ingredients for the filling. 5. 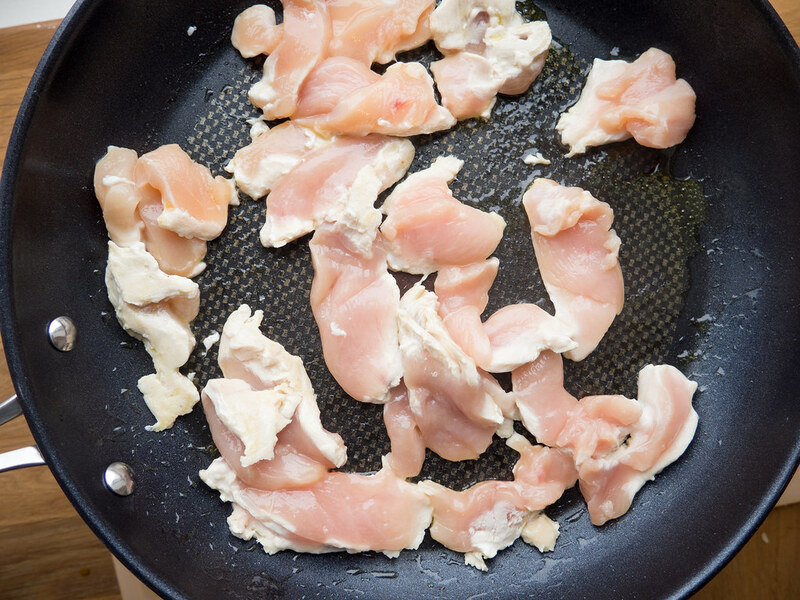 Slice up the chicken filet and frying it a little on a frying pan. 6. 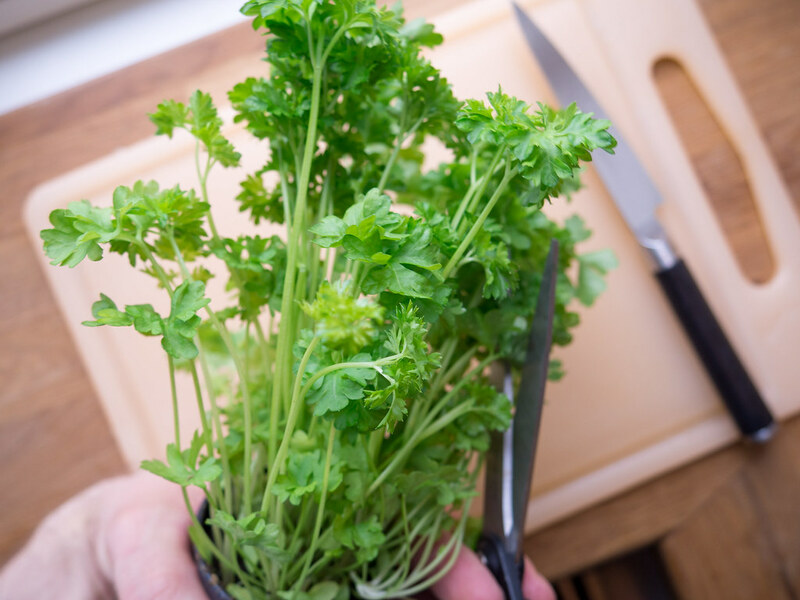 Clean the parsley thoroughly and finely chop it. 7. 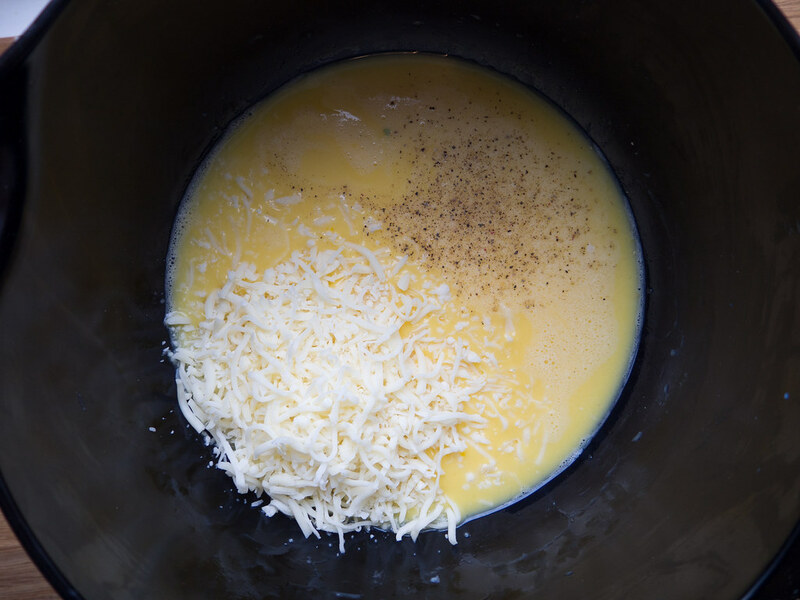 For the filling; beat the four eggs and add salt, pepper, milk, grated cheese. Mix it together. 8. Now divide the pie dough into two pieces; using a rolling pin to fatten one piece. 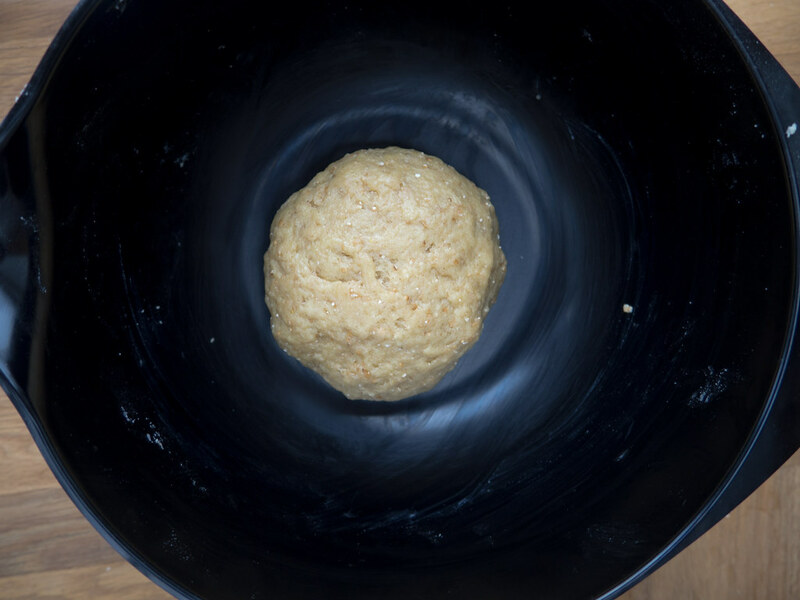 Transfer the dough to a pie pan (diameter about 23 cm/9 inch). 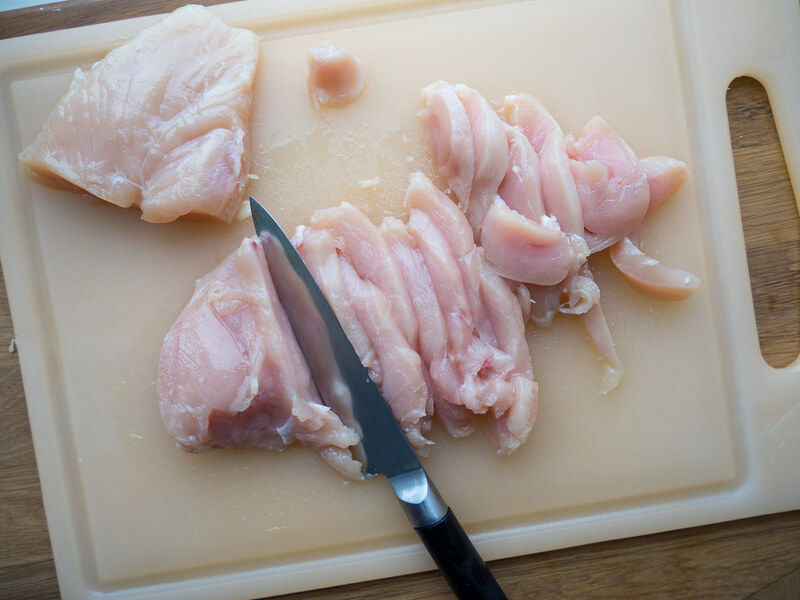 Use a fork to prick small holes in the dough. 9. Prebake the piecrust for about 10 minutes in a 200 C (400 F) preheated oven. 10. While the pie is prebaking; use the rolling pie to fatten out the other piece of dough. This is going to be used as a lid for the pie. 10. 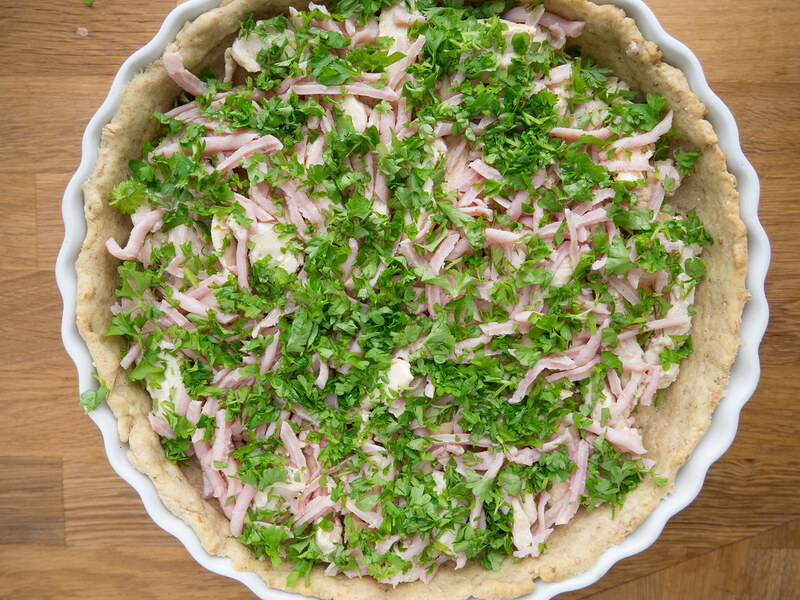 Transfer the fried chicken, chopped parsley and egg/cheese mixture into the pie. 11. Cover the pie with the last dough. 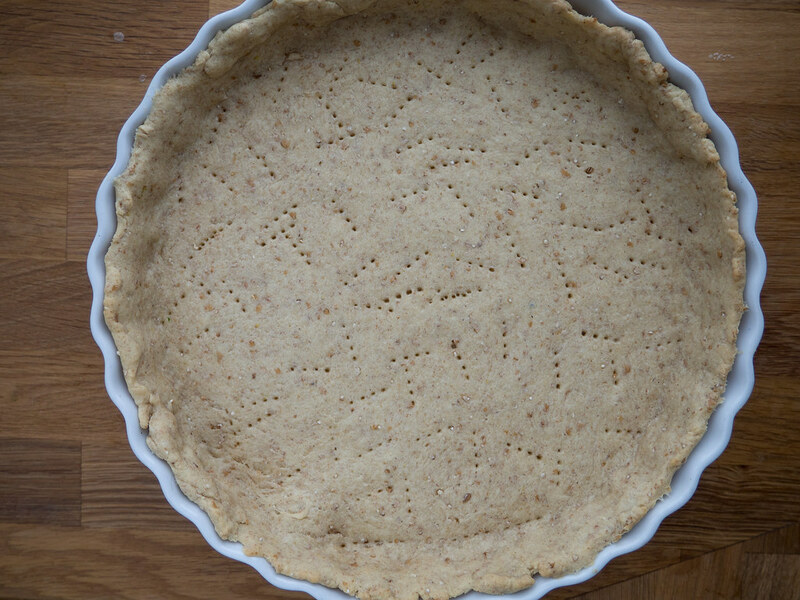 Cut small holes in the lid and decorate the top of the pie. 12. 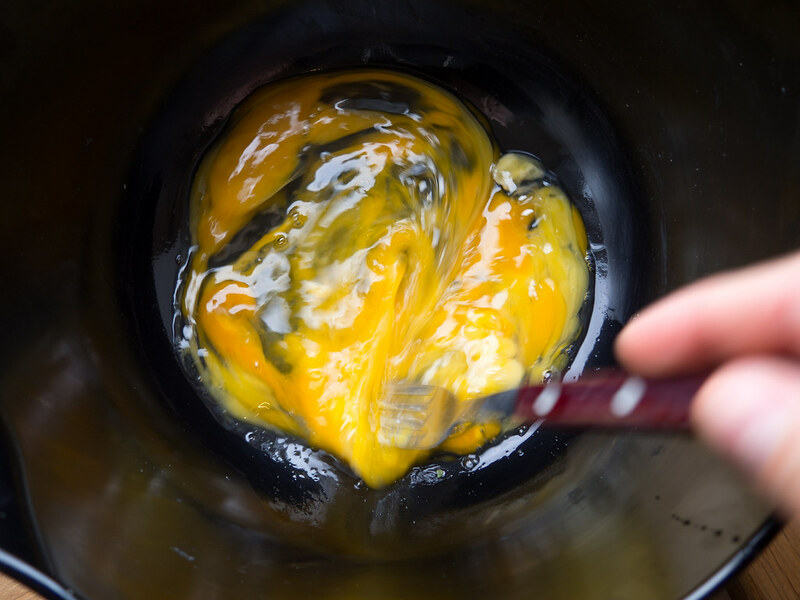 Brush the pie with the last beaten egg. 12. Finally, bake the pie for about 45 minutes at 200 C (400 F).